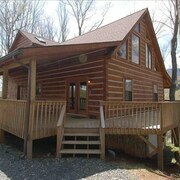 Adorable log Cabin! Firepit - Private - Great Location! 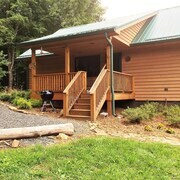 Beautiful Mountain Log Cabin With Stone Fireplace Sleeps 8! Amazing little cabin. Staff is super friendly. The views on the mountain are breathtaking. Can't wait to go back in March! The room was very nice as well as the people. That was pretty much the only thing that was good. The hotel water was impossible to regulate. Either it was scolding hot or freezing. My children almost burnt thrmselves. The pool room was freezing. The website says they have a heated pool that was extremely cold. I called the hotel to ask about the breakfast before we booked and they said they had a hot breakfast. The only hot thing was waffles. The rest of the breakfast was toast and cereal. The fact that I booked a hotel with a hot breakfast and paid more was extremely disappointing because we had to gone out to breakfast every morning. I wouldn’t go back. 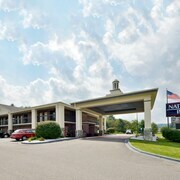 Located right off Main St so can walk anywhere. Room was spotlessly clean. We had a king room. It was very small, just enough room to walk around the bed. 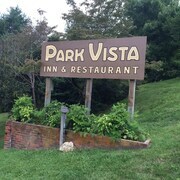 Perfect for a night's stay though. 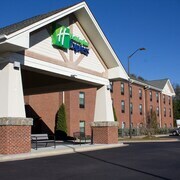 They played rap music so loud while checking in you could not hear them speak to you. The phone didn't work the room smelled like mold. The front desk staff was rude. 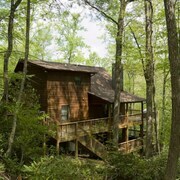 Over THE River- 3 Level Cabin W/mountain & River Views, Wifi & Jacuzzi Tub! 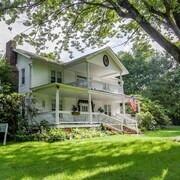 A Heavenly View-breathtaking Views W/bubbling Hot Tub, Gas F/p, Pets & Wifi! 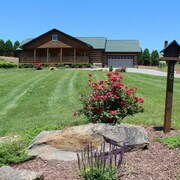 Rest Assured-3 Level LOG Home W/mtn Views, Pool Table, Wifi & HOT Tub! Picture Perfect! 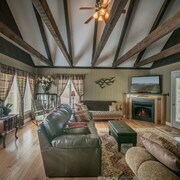 Luxurious Log Home W/mtn Views, Wifi, Gas F/P & Pool Table!